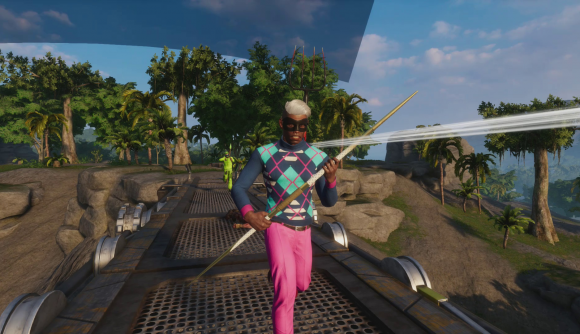 As the studio acknowledges in its announcement today, The Culling has had a wild ride. Proudly claiming to be the first battle royale to be “built from scratch” – as opposed to PlayerUnknown’s Arma mods that are commonly thought to have spawned gaming’s current hottest genre – The Culling went through a turbulent development before Xaviant abandoned it to launch a sequel in summer last year. That launch was an amazing disaster, and caused Xaviant to drop The Culling 2, roll back The Culling to its Early Access launch build, and make it free to play. While that relaunch had some success – causing The Culling’s population to swell to 1,459 peak concurrents, according to SteamCharts – momentum soon fizzled out, and by January populations were back in double digits. “Even with thousands of active daily users,” says Xaviant, “the revenue was only a fraction of what our dev team required to continue daily operations. As a result, we’ve been forced to reduce our team size, which renders us unable to provide ongoing support”. Given that daily concurrents have been under 500 for six months, pulling the plug now is interesting timing. Perhaps Xaviant saw Apex Legends’s explosion as the death knell. The two games give an interesting contrast. People have been sounding the alarm about battle royale saturation for a while, and here we are with the first standalone BR going down, yet Apex Legends has drawn 50 million players after launching just last month with zero marketing (though it did win over the streaming community, which Xaviant told us was essential). Never let it be said that genres rise and fall on an even tide. It’s a sad day, not just because The Culling was an inventive take on battle royale when the genre itself was still fresh, but because there will inevitably be a human cost to its demise. Nevertheless, Xaviant still believes in The Culling, and would like to hear from anyone who thinks they can take the reins (write to [email protected] if that’s you).